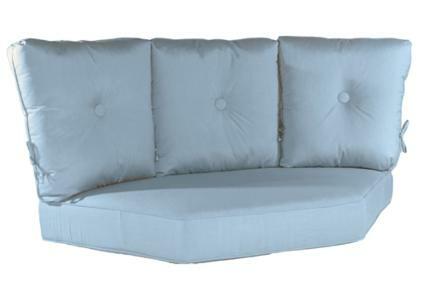 Item #7558 - Estate Series Corner Sectional Cushion. Boxed with self welt with self covered buttons on the back and ties at the seat and back. Only to be used with the Estate Series. Fits: Mayfair, St. Augustine, or Stratford.